Improves Skin complexion - Green tea possesses the property to heals scars, blemishes, dark circles which will in turn help in evening out the skin tone. It also helps minimize the redness caused by psoriasis. Improves skin texture - The antibacterial agents or catechins present in green tea help fight acne-causing bacteria. These antibacterial agents even help regulate hormonal imbalances in the body which are one of the key causes of acne. Green tea also possesses anti-inflammatory properties that help reduce the redness and inflammation that may be caused due to acne. Protects against sun damage - The tannic acid, theobromine, and polyphenols present in green tea help soothe and heal sunburned skin by minimizing the damage caused by exposure to UV rays. The Plum Green Tea Clear Face Mask is a soft and creamy clay-based face mask. The smooth, creamy and non-drying formula of the product helps to apply evenly and wash off without any hassle. The Natural clay absorbs the excess oil that the skin secretes and the Green tea extracts in it help keep acne at bay. The Glycolic acid gently exfoliates the skin getting rid of dead skin giving an instant glow. Undoubtedly a must have product for oily and combination skin type. The Plum Green Tea Skin Clarifying Concentrate is most certainly the star product of the Plum Green Tea collection as per me. The lightweight, non-comedogenic formula gets absorbed almost instantly without leaving any greasy sticky feeling behind. The product is made with the goodness of AHA’s, Cinnamon bark, Licorice, Green Tea extracts and Willow Bark. Each of these unique ingredients helps cater to a different a concern, like the Cinnamon bark present in it helps regulate sebum production naturally while as the Licorice helps tackle hyper-pigmentation and also clears up the skin. The Willow bark present in it helps regulate sebum production naturally while as the AHAs that are sourced from 5 different plants help in promoting skin renewal. In spite of being one of the lightest serum I have ever tried, this product contains just the right quantity of argan oil to prevent the skin from drying up. In addition to this, this hyper-concentrated serum also helps clear up & brighten skin and prevent the appearance of fresh spots & blemishes. 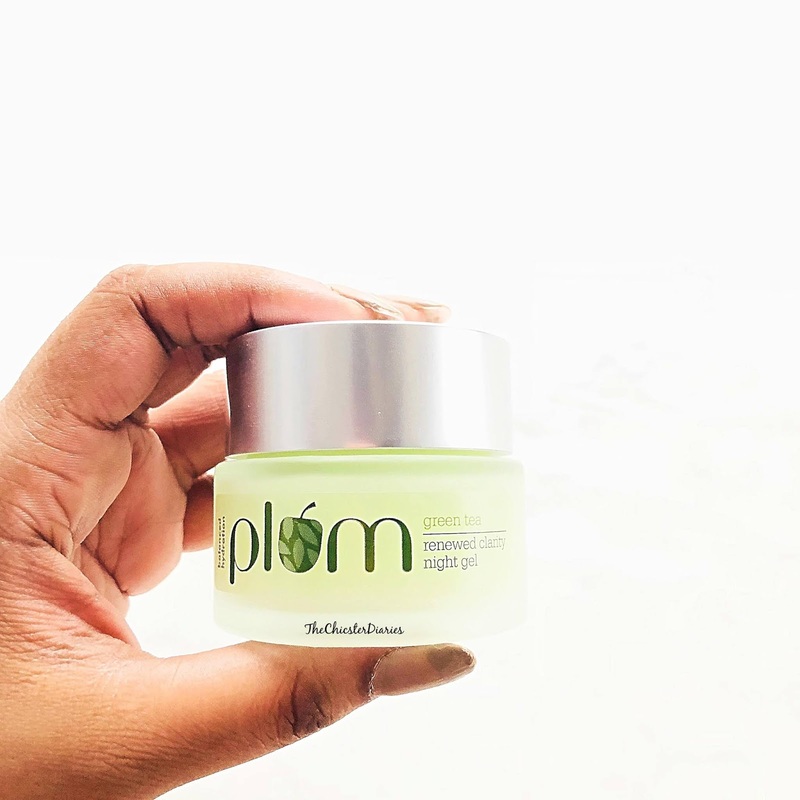 If you want to wake up to a clear, fresh and hydrated skin minus the greasiness then The Plum Green Tea Renewed Clarity Night Gel is the product for you. Being lightweight and gel textured in nature the product gets absorbed within minutes of application leaving your skin supple and hydrated. 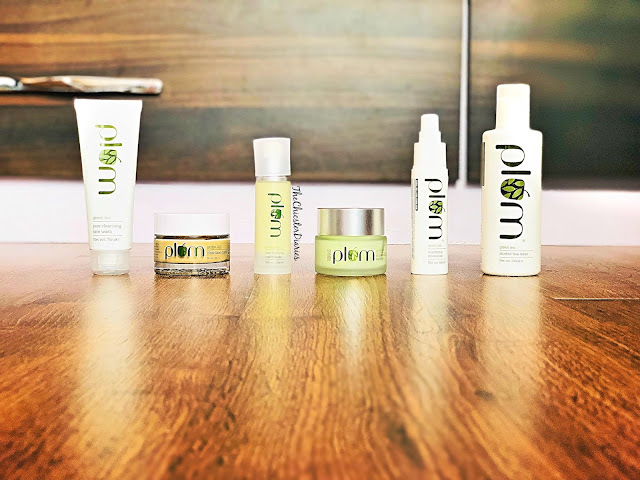 The product is non-comedogenic in nature meaning your skin can enjoy all the ingredients the product has to offer without worrying to your pores being clogged in the process. 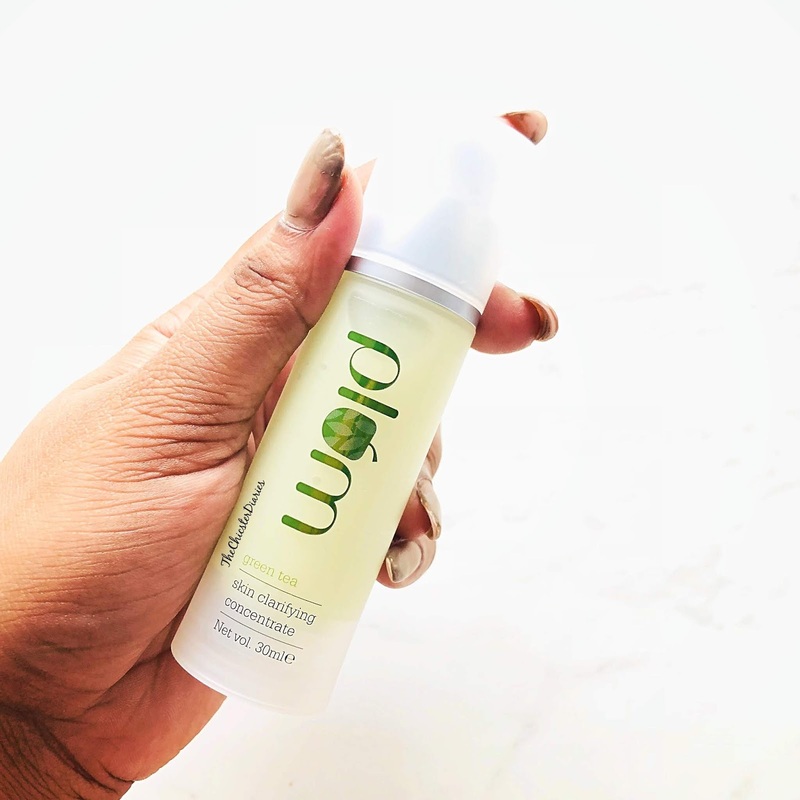 This product is made with some incredibly rich ingredients like Argan oil, Licorice, Glycolic acid, Willow bark, green tea extracts, organic aloe vera juice, Goji berry & Gingko Biloba. The Glycolic acid helps gently exfoliate the skin while as the Licorice and willow bark help attain a clearer textured skin. The Green Tea extracts help control acne and blemishes while as the Organic Aloe juice helps soothe the skin. The Goji berry & Gingko Biloba help nourish the skin while you sleep and the Argan oil helps the skin retain its moisture through the night. The Plum Green Tea Pore-Cleansing Face Wash is a Soap-free, SLS-free gently foaming cleanser. The product has soft, natural exfoliating Cellulose beads that gently exfoliate the skin without drying it out. 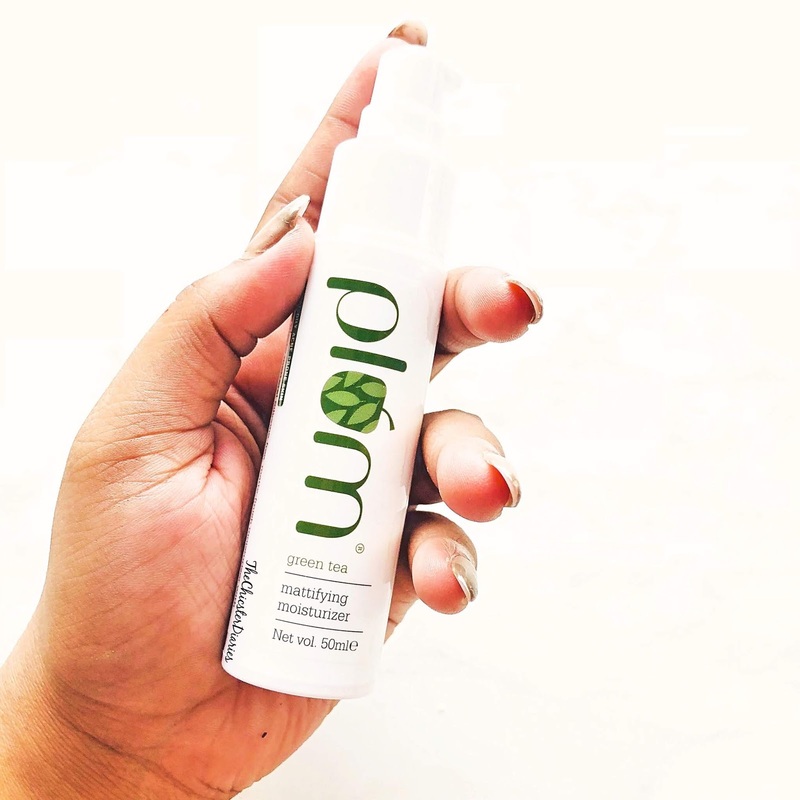 The glycolic acid helps to remove the dead skin cells while as the green tea extracts help cleanse the skin by getting rid of impurities and in turn hindering acne formation. Due to its natural, no chemicals and no paraben formula, this is probably one of the best face washes to start your day with. 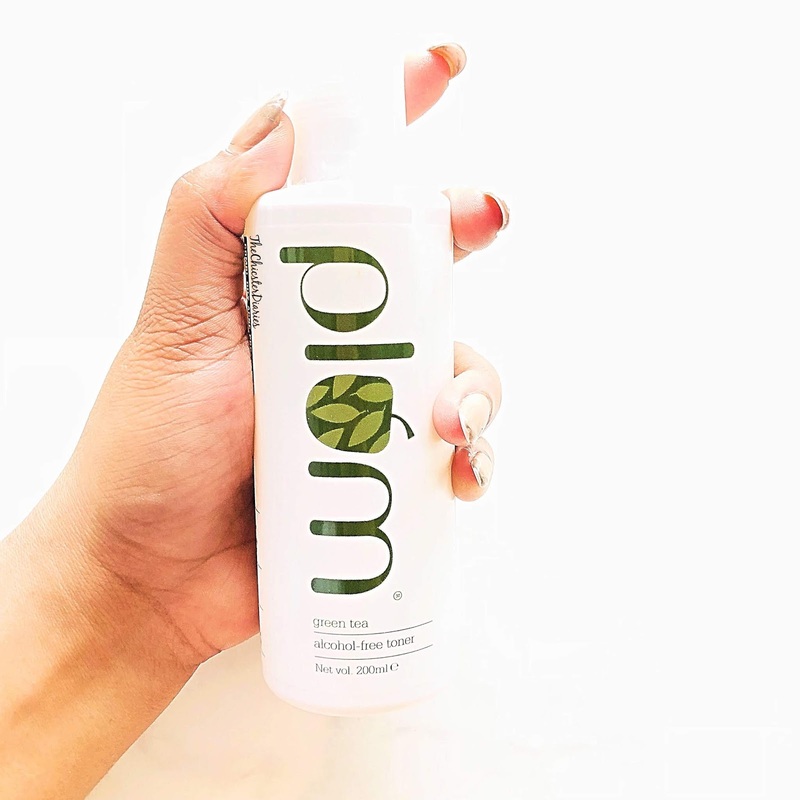 The Plum Green Tea toner is one of the Best-selling alcohol-free toners from Plum and after using it we absolutely understand why so?! Its alcohol-free nature does not dry out the skin like other alcohol-based toners. The Green Tea extracts tone and hydrates the skin. While as the Glycolic acid gently exfoliates the dead skin cells. This non-comedogenic product helps tone the skin without clogging it with unnecessary chemicals. This is without a doubt one of the best toners I have used so far, so much so that it has become a must-have product of my daily skincare routine. If you have a combination or oily skin texture then you are going to love this product. 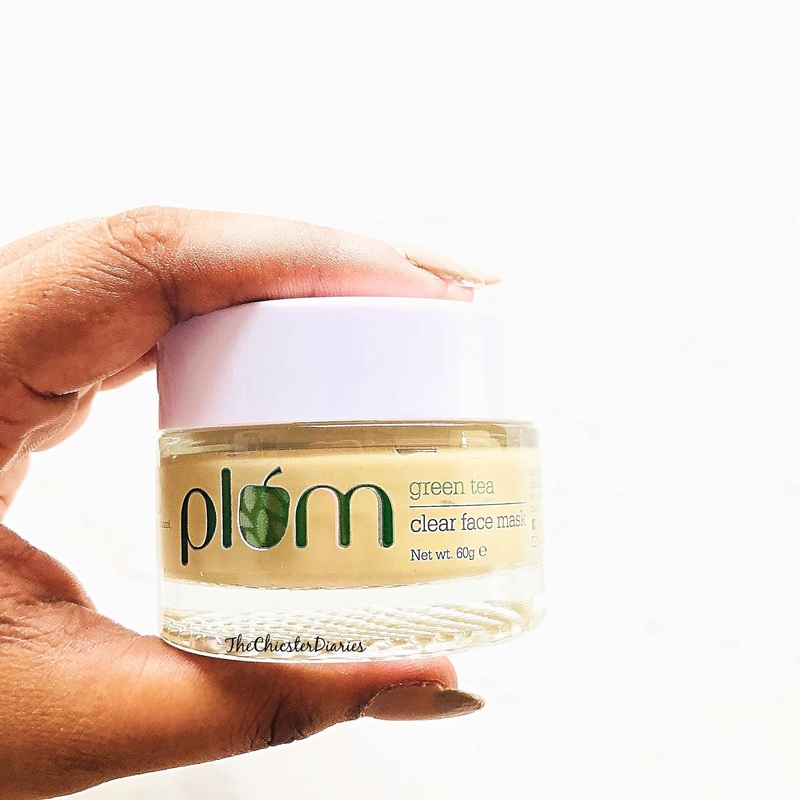 The Plum Green Tea Mattifying Moisturizer as the name suggests is a mattifying, lightweight moisturizer specially formulated for oily skin. This product is 100% silicone free and non- comedogenic in nature making it apt for oily as well as acne prone skin. The addition of green tea extracts makes it even more appropriate for acne-prone skin as this will help keep the acne formation in check. The glycolic acid will also help the skin stay clear and healthy. Undoubtedly the best moisturizer for combination and oily skin type. Hope you enjoyed reading this post as much as we enjoyed formulating it. Do drop in your comments below sharing with us which of these Plum products would you like to try first or which of them you have already tried? So the skin benefits of green tea are out, it stands amazing to learn about green tea mask and serum and I would totally love to try Plum skincare products. We all know that green tea has amazing health benefits! It helps to remove toxins and make skin healthy and fresh. Plum is a good brand. I will try their green tea range soon. "I'm so amazed Saw a huge difference in 4 days Today is day 16 and my cheeks are CLEAR."